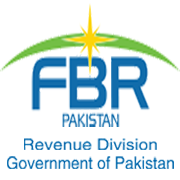 KARACHI: The Federal Board of Revenue (FBR) has notified three-month suspension of a principal appraiser and three appraising officers of MCC Port Qasim for their alleged negligence regarding illegal clearance of toy consignments, which caused revenue loss to the national exchequer. 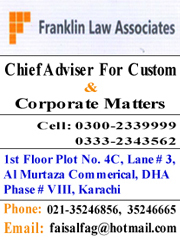 Additional Collector Adjudication Dr. Sadia Sadaf has penalized certain cartel of toy importers for concealing the actual description of the goods to take an attempt for getting the goods assessed on suppressed values for evading government’s legitimate revenue. The suspended officials had assessed these consignments. The suspended officials are of the view that they only assessed the consignments on the basis of examination report and they had nothing to do with the illegal clearances. The importers mis-declared the description to avoid higher value of Valuation Ruling and attracting regulatory duty. The importers, thus, tried to evade the legitimate customs duty and regulatory duty in addition to higher rate of Valuation Ruling by mis-declaring the description of incomplete toys as spares for plastic toys. Sources said these importers represented by one Imran Molvi have been involved in blackmailing and pressurizing the officers/officials through the use of a weekly magazine and a third-rated news channel. 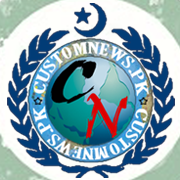 Sources said Customs was still under pressure and reluctant to scrutinize their past imports and clearances of these importers including M/s Xing Enterprises, M/s One Ten World and M/s Lucky Traders. 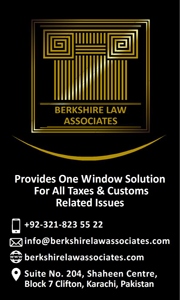 This practice of revenue evasion had been going on for a long time when Additional Collector Yaseen Murtaza, Deputy Collector Athar Naveed, Principal Appraisers Dost Mohammad, Shahid Rizvi, Noor Akbar Maher, Hamood-ur-Rehman and several others detected the scam. Chief Collector Abdul Rasheed Sheikh had taken a stand against this mafia of toy importers and alerted all the collectorates and dry ports as Pakistan Customs tightened the noose around this particular cartel of toy importers, who have been inflicting huge revenue loss on to the national exchequer through evading government revenue through mis-declaration of description of the imported goods. 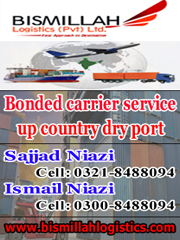 Tagged FBR suspends, illegal clearance, imported goods, M/s Lucky Traders, M/s One Ten World, M/s Xing Enterprises, MCC Port Qasim, mis-declaration, toy consignments.